When is Wi-Fi blocking justified? Deciding where "blocking" might be justified is a difficult problem, but the FCC should work harder to clarify the matter. Millions of economists parse the Federal Reserve Bank's public statements on the U.S. economy. Meanwhile, only a few thousand observers concern themselves with the Federal Communications Commission's (FCC) exploits. This is a missed opportunity: the FCC is every bit as fascinating and confusing as the Fed is enigmatic. But while many economists owe their employment to the opportunity to interpret the Fed's tealeaves, wireless engineers prefer and deserve a level of clarity that the FCC sometimes fails to provide. The example at hand is "jamming" of Wi-Fi and concerns two recent consent decrees and one enforcement advisory (search on "FCC," "Marriott," "Smart City," "Wi-Fi blocking"). So far, so good. "Wi-Fi blocking" sounds like something we would discourage. But there are many potential uses of blocking that, on closer inspection, seem quite reasonable. And both consent decrees target only one, easily condemned use, while avoiding any mention of the others. The respective FCC press releases start with a statement about the FCC authorizing use of the airwaves, and that no user shall disrupt another's legal communications. This is understandable, especially in the context of radio and TV transmission towers, even cellular communications and GPS. Few would disagree that over-the-air jamming of these communications systems is wrong. But the actual situation described is very specific. Both cases involve over-the-air disconnection of Wi-Fi clients in convention centers, preventing the use of cellphone-hotspot "MeFi" features and forcing exhibitors and users onto the venues' paid Wi-Fi Internet services. So we know this particular use of blocking is prohibited. And there's a satisfying moral to it: the FCC will prevent corporations from making money off the airwaves, at the expense of the individual. But it begs some questions… how is "blocking" defined, and is it ever justified? For example, hospitals use Wi-Fi for patient monitoring, accessing pharmacy and patient records and more. If a visitor brings devices that generate large amounts of Wi-Fi traffic and interfere with these vital systems, is the hospital justified in shutting down these transmissions by "blocking"? Would patient safety be sufficient justification? Then consider an office worker who brings an access point from home and plugs it into the company's LAN. If they are sitting by a window and the access point is not authenticating users, anyone outside the building can tap into the company network. Is the WLAN manager justified in taking measures to neutralize this security risk? What if the organization is a retailer and an outsider could gain access to credit card data? What if the rogue AP was planted with criminal intent to steal company secrets, in a remote office where the WLAN is monitored from afar? Universities provide Wi-Fi for lecture halls, coffee shops, scientific laboratories, and residence halls. Their WLAN managers try to get students, staff, and visitors to play fair with the airwaves. Users are discouraged or prohibited from bringing their own, interfering access points on campus, because this can degrade others' access. The FCC ruling seems to indicate that students have a right to import Wi-Fi equipment onto school property and run it in any way they please, regardless of the consequences to their peers or the university authorities. Or is this a game where the authorities could confiscate said equipment, or otherwise prevent students bringing it on-campus, but cannot use over-the-air measures to contain it? Many companies have sensitive research or manufacturing areas where they prohibit visitors from taking photographs, making cellphone calls, and other activities. Can they prohibit visitors' use of personal Wi-Fi systems when on their property for commercial security reasons? If they do, should it make a difference whether they collect phones at the door or rely on Wi-Fi jamming to enforce compliance? Reading the examples above, most of us would have some sympathy for a WLAN manager using measures to maintain the safety or security of information, and agree that over-the-air methods may sometimes be justified to counter disruption of the network. These cases challenge our bedrock belief that jamming is always bad, because Wi-Fi is quite different from older wireless technologies. It is very short-range, effectively contained within buildings and campuses that are traditionally regarded as private property. Second, Wi-Fi often carries safety-critical and security-sensitive information. One can argue that it is unwise to do this in unlicensed spectrum, but it's a widespread practice. And organizations (owners of buildings and campuses) have built out WLANs that are used as a shared resource by everyone on the premises. 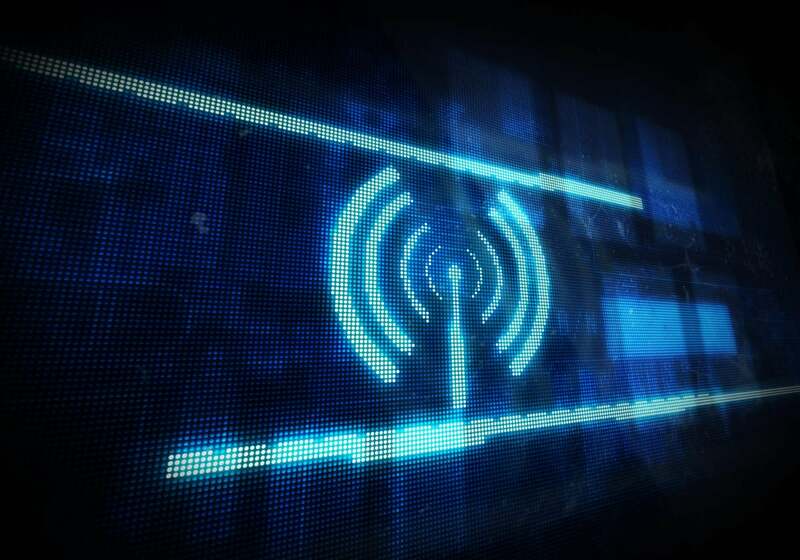 These WLANs, with their intricate RF plans, are quite sensitive to interference from other Wi-Fi and non-Wi-Fi signals, but only when interference comes from within the same building as the WLAN. The whole system is clearly very different to, say, a 1930's radio station broadcasting over many miles. All we can say for sure after this series of FCC rulings is that venue owners may not prevent the public using their "MeFi," forcing them onto a paid Wi-Fi service. The FCC has declined to clarify any of the trickier applications of Wi-Fi control, although two of the five commissioners dissented from the latest ruling. It is not unusual for technology to move forward while regulation fails to keep pace. Deciding where "blocking" might be justified is a difficult problem, but the FCC should work harder to clarify the matter: it affects many networks in hospitals, schools, universities, retailers, and other environments. Network managers want to follow the law, but the current pronouncements are far from comprehensive.